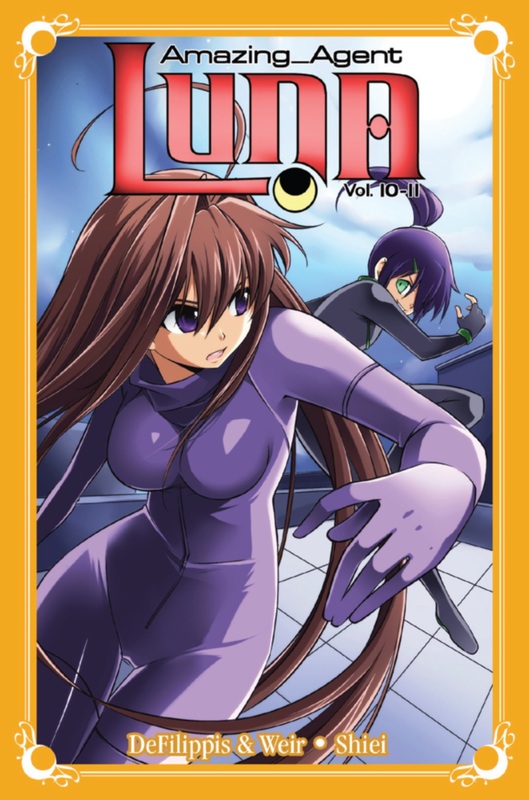 Contains volumes ten and eleven of Amazing Agent Luna, Seven Seas' premier shoujo manga series that blends high school romance with super spy action.Luna's original mission is over, but her adventures are just beginning! Luna's former nemesis and ex-boyfriend, Jonah Von Brucken, son of the evil Count Von Brucken, is returning to Nobel High and the Agency has sent Luna back with him. When the daughter of a scientific genius working on cold fusion arrives at Nobel, Jonah instantly takes a liking to her and Luna springs into espionage action. But is she worried about the secrets of fusion falling into the wrong hands, or is she just jealous that Jonah has found someone new?A new dangerous agent shows up who is also interested in the secrets of cold fusion—and in Luna herself. Who is he, and what is his mysterious agenda? The answers to these questions will shock Luna to the core, and may lead her down a dark path from which she can never return.